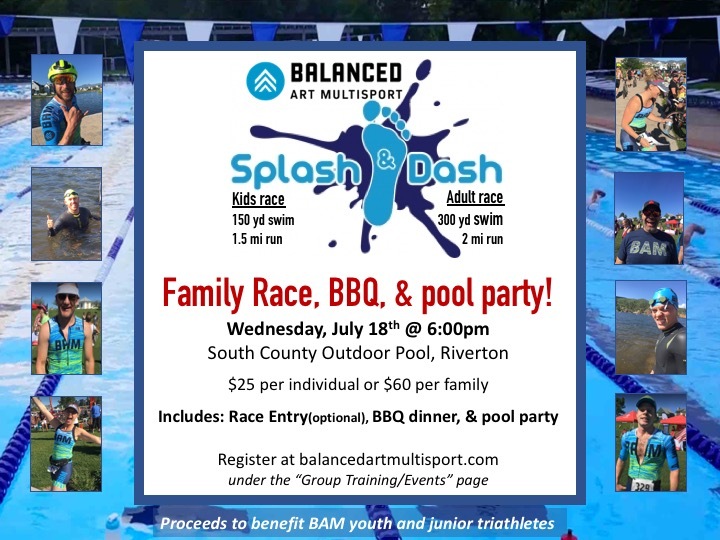 Get Ready to Play at the First Annual BAM FAM Splash & Dash Family BBQ and pool party! Your entry includes race entry, BBQ, t-shirt, and private access to the South County Pool! Proceeds to the event will go to support our Junior Elite Athletes with their travel expenses for 2018. Races Start at 6:30pm, and the pool will close to the public at 7:00pm. The races will be followed by our private pool party and bbq.